Junior catcher Kraig Lowe looks to receive a throw during warm-up. 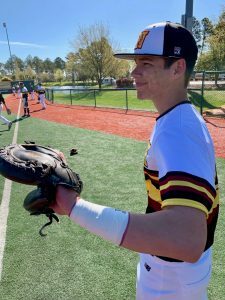 (Myrtle Beach, SC) The Westerville North Warrior baseball team was back in action today against Eastlake North High School for the second time this week. In a very competitive game, the Warriors were able to come from behind in the sixth inning to take a 4-3 lead. Cooper Crawford started the game for Westerville North Warriors Varsity. He lasted five innings, allowing six hits and one run while striking out six. Zach Jordan earned the victory on the mound in relief for Westerville North. He went one and one-third innings, allowing zero runs on two hits and walking one. Harper Flynn threw two-thirds of an inning in relief out of the bullpen. Overall, the defense played well and committed no errors in the game. 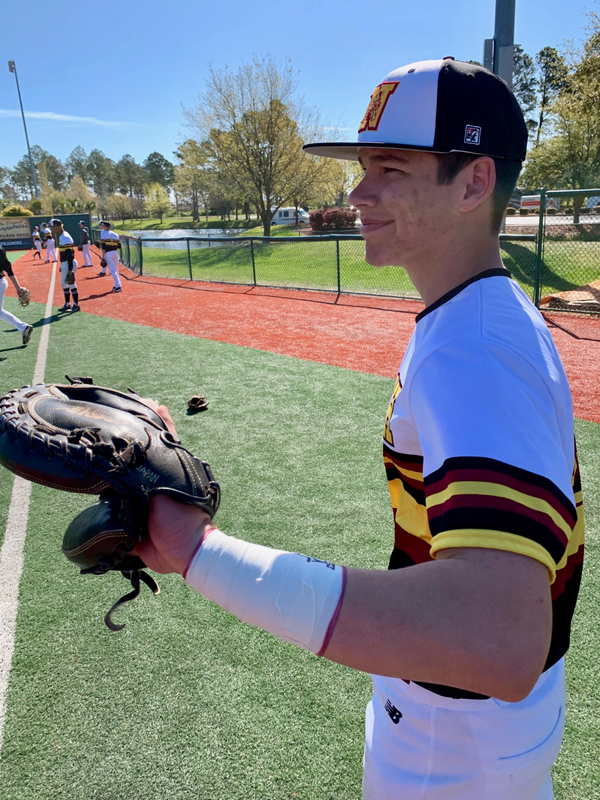 Leading the Warriors offensively with two hits in three at bats was senior Brandon Bond while Dilynn Gordish scored the go ahead run for the Warriors by stealing home in the bottom of the sixth inning. The Warriors have one more contest on their spring break trip. Their final game will be Friday afternoon at 4:00PM at the Ripken Experience baseball complex against Rowan County Senior High School (Kentucky).